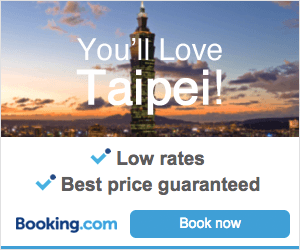 Taipei is an enormous city with plenty of restaurants, sightseeing, and excellent nightlife. 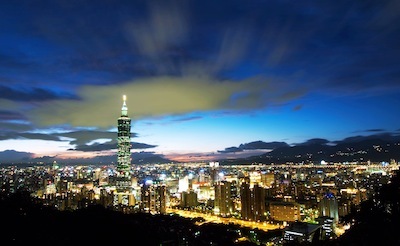 Taipei is one of the safest cities in the world with crime being extremely rare. Though it is somewhat old, Taipei provides beautiful structures and tourist attractions making it a superb place to visit. 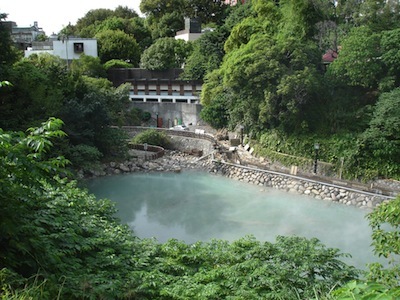 Visit the Hot Springs in Beitou (北投). Taking the bus is the most efficient way to get here. Steaming hot springs are not very common in the world and is highly recommended that you pass by here for a fun swim. If you rather learn than go for a dip, go to the Beitou Hot Springs Museum where the first Euro-Japanese style public bath was build. No admission fee to enter the museum. Go to the world-famous Yanngminshan National Park (陽明山國家公園) to visit the volcanic mountain range. There are hot springs, hiking trails, and gorgeous places to relax and take a deep breath of fresh air. For dinner go to the Mitsui for exotic Japanese food where the seafood is extremely free and well prepared. A la cate items can be pricey, so go for the set meal which has a good variety of sashimi,sushi, chicken & grilled fish. Go to the enormous Taipei 101 skyscraper. The fastest way to get here is by taking a cab. The Taipei 101 is currently the second tallest skyscraper in the world. The architecture of the building is truly amazing and unique, it is unlikely you will see something like this anywhere else. The elevators are also the second fastest in to world zipping you up to the top floor in 37 seconds. After the exciting elevator tour is over, head downstairs to the Taipei 101 Mall to buy souvenirs like coral jewelry for friends and family! The Taipei Mall offers an amazing selection of restaurants to choose from. Start off your day with a motorbike rental to reach all of your destinations. Take a daring visit at the Taipei Zoo (台北動物園) where the animals are not locked in cages. They are allowed to roam freely! The Zoo is very clean and well maintained and it is opens daily from 9am to 5pm. Taipei Zoo’s entrance fee is affordable – NT$60 for adults (U$2) and NT$30 for kids (U$1). If the zoo is too risky for your liking, go get soaked in the Taipei Water Park. The park contains jaw-dropping slides and relaxing swimming spas. For dinner go to Italian food – Alleycat’s for its amazing pasta and heavenly pizza. Finish off your trip by visiting Asia’s largest shopping center, the Core Pacific Living Mall (京華城購物中心) which is located in Taipei Songshan District. The architecture is amazing and is perfect to take pictures. 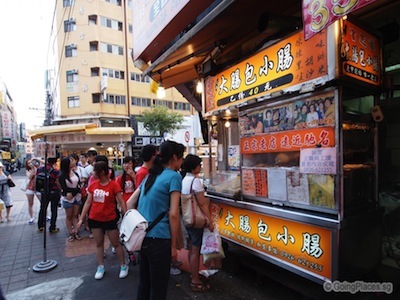 In the evening, go to the famous Shilin Night Market (士林夜市) and Fengjia Night Market (逢甲夜市). Here you can sample exotic food that will not be found anywhere else in the world. Be sure to try the Pearl milk tea and the Pan fried pork buns! After eating, go to the nightclub Plush, to end off your vacation with a feeling of excitement. Taipei is indeed an amazing city to visit. It is an excellent long weekend getaway choice as within 4 days, you should be able to discover most of Taipei must-visit tourist attractions. 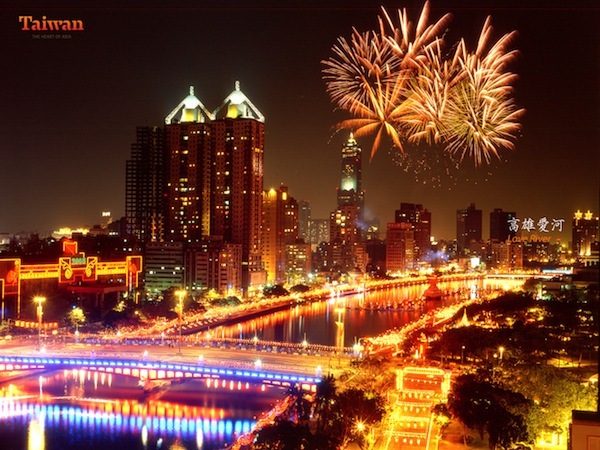 Visit the beautiful city Taipei, your satisfaction of the trip will be almost guaranteed. Book your 4D3N Taipei tour package with Zuji Singapore and find out the latest hot deals.